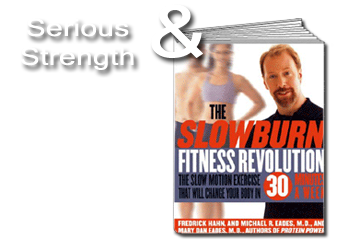 As we all know, many people today suffer from obesity. For many obese people, one of the common ailments that comes along for the ride is a fatty liver. 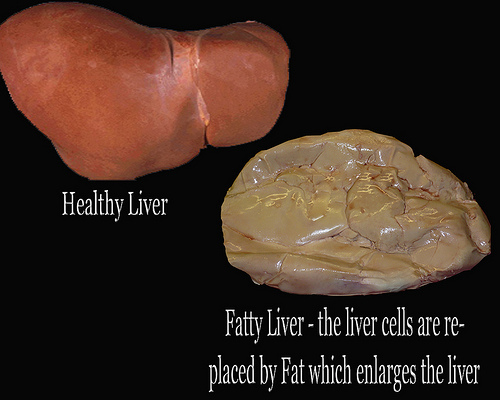 An overly fatty liver (greater than 10%) can be problematic. Your liver performs many important tasks and thus needs to be in tip-top shape in order to clear the blood of toxins, produce glucose, bile acids and a bunch of other very important functions. So eating and drinking in a manner that fattens of the liver is unwise to say the least. Most people know that you can make your liver fatty by drinking excessive amounts of alcohol. This may be in part due to a lack of choline in the diet and/or from poor absorption of nutrients caused by tipping the bottle too much and too often. Many alcoholics eat poorly and experience poor digestion since alcohol can damage the gut and stomach lining as well as upset the balance of good bacteria in the gut biome. But a fatty liver may also be caused by excess fructose consumption and excessive refined carbohydrate intake – a condition known as non-alcoholic, fatty liver disease (NAFLD). 2 wk of dietary intervention resulting in a reduction in body weight of ≈4.3% reduced the hepatic triglyceride content by ≈42% in subjects with a clinical diagnosis of NAFLD. However, dietary carbohydrate restriction was significantly more effective at reducing liver triglycerides than was calorie restriction. Though losing body weight was part of the cure for a fatty liver, the diet involved seemed to be even more important. Chris Masterjohn thinks otherwise. Chris knows his stuff and I agree with him that this particular study isn’t as strong as it could be. Yet, if you had to opt for one or the other approach, which would you choose? Ever wonder why olde time taverns used to have eggs and pickles at the bar? Well, now you know! Either way, until I find compelling evidence showing otherwise, I’m sticking with my red meat and red wine approach. Thanks Ash. I wonder what would happen to a person liver who drank a few glasses of wine a night, if their diet was extremely low in fructose, PUFAs and high in sat fat, choline and other anti-inflammatory nutrients. Seems to be protective in rats. I guess we’ll find out if/when I get some testing done – or die. I doubt we’ll see RCTs in humans for this any time soon. I’m very fond of the grog, perhaps it’ll reduce more as time goes on but for now my research is aimed toward being as healthy as possible but still a boozehound – it’s probably my only real destructive vice. To that end, my diet is grass-fed beef and good free-range eggs and grass-fed butter on an almost daily basis, and I try to get salmon or other fatty fish at least a couple times a week, I chow on bone marrow and eat the softened bones of whatever I can frequently, get some liver once a month or so, and load up on oysters when in season as often as I can. I only drink water for 99% of my hydration needs, occasionally a sugar-free energy drink if on the go and wanting caffiene. My go-to fun drinks are red wine and vodka/gin – but now and then champagne/white wine, and very infrequently, beer. That’s 99% of my regime. Of course I’m nowhere near perfect, last night the gf got some Thai food – I just ignored thinking about what’s in it and enjoyed it, paying for it in the bathroom today. Point is a few times a month I’ll indulge in small amounts of stuff for the sake of social sanity – but overall PUFA(plant)/gluten/grains/sugar/fiber/stress are almost completely absent from my lifestyle nowadays. Guess we’ll see how it turns out over the years. Ash – I hear you. I am just like you perhaps even more sever in my diet as I never drink beer or eat gluten EVER. I think there are RCTs that looked at liver fat in humans and in the metas of them, higher sat fat intakes were associated with less hepatic fat. I think. Mike Eades blogged on this long ago. I’ll see if I can dig it up. Jimmy Moore’s been taking it to control his blood sugar. Previous post: Happy New Strength! Next post: Can You Afford To Eat Well?